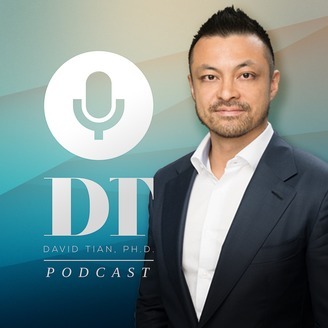 The DTPHD Podcast by David Tian, Ph.D. 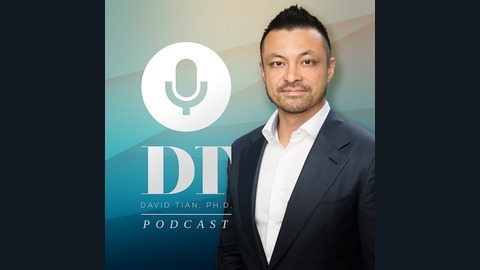 Psychology, philosophy, love, truth, value, power, wealth, the good life, and the meaning of life — join David Tian on the “DTPHD Podcast” as we explore these and many other deep topics. The DTPHD Podcast is where success oriented people, just like you, come to learn about cutting edge research and developments in the social sciences, natural sciences, humanities, and technology and how they affect and can improve our day to day lives. This show will help you improve your relationships, give you higher performance at work, increase your knowledge and skills in entrepreneurship and investing, aid you to become a better networker and social connector, deepen your emotional connections, discover your true self, find your life purpose, and become a better thinker overall. Subscribe now. Show Notes are available at: http://www.davidtianphd.com/dtphdpodcast/ For over a decade, David Tian, Ph.D., has helped hundreds of thousands of people from over 87 countries find happiness, success, and fulfillment in their social, professional, and love lives. As an international top personal development coach, he educates and empowers people to attain the social intelligence, competence, and confidence for success and happiness in dating, relationships, and their lifestyles. He has developed a series of solutions applicable across diverse cultures, contexts, societies, and age groups. His coaching curriculum ranges from relationships, social skills, masculinity, self-development, self-esteem, happiness, and fulfillment. His presentations, whether keynotes, seminars, or workshops, leave clients with insights into their behavior, psychology, and keys to their empowerment. Dr. Tian travels 325 days a year to countries all over the globe, sharing his research and experience in relationships, masculinity, and emotional intelligence. From the thousands of testimonials he receives each year, Dr. Tian’s work continues to transform people’s live forever. Join him on the “DTPHD Podcast” as he explores deep questions of truth, love, and the good life. Subscribe now. Connect with David Tian here: Instagram: https://www.instagram.com/davidtianphd/ Facebook: https://www.facebook.com/david.tian.aura Website: https://www.davidtianphd.com/ Podcast: https://www.davidtianphd.com/dtphdpodcast Youtube: https://www.youtube.com/user/TheAuraUniversity. "Values, Virtues, Vice, and Dating" is part of a full-day seminar I gave at the Le Meridien Bangkok on 8 December 2018. In this keynote talk to a group of private coaching clients, I reveal how morality is the missing piece in the puzzle of dating, mating, love, happiness, and life overall. I also propose a virtue ethical approach to life and values, informed by a deeper understanding of moral philosophy from both eastern and western traditions. And I argue that we evolved a moral sense as an adaptive mechanism for forming smarter, more efficient, more trustworthy alliances. The moral sense is also adaptive because it allows us to raise happier families, resulting in healthier and happier offspring. ***** For over a decade, David Tian, Ph.D., has helped hundreds of thousands of people from over 87 countries find happiness, success, and fulfillment in their social, professional, and love lives. His presentations - whether keynotes, seminars, or workshops - leave clients with insights into their behavior, psychology, and keys to their empowerment. His training methodologies are the result of over a decade of coaching and education of thousands of students around the world. Subscribe for more.